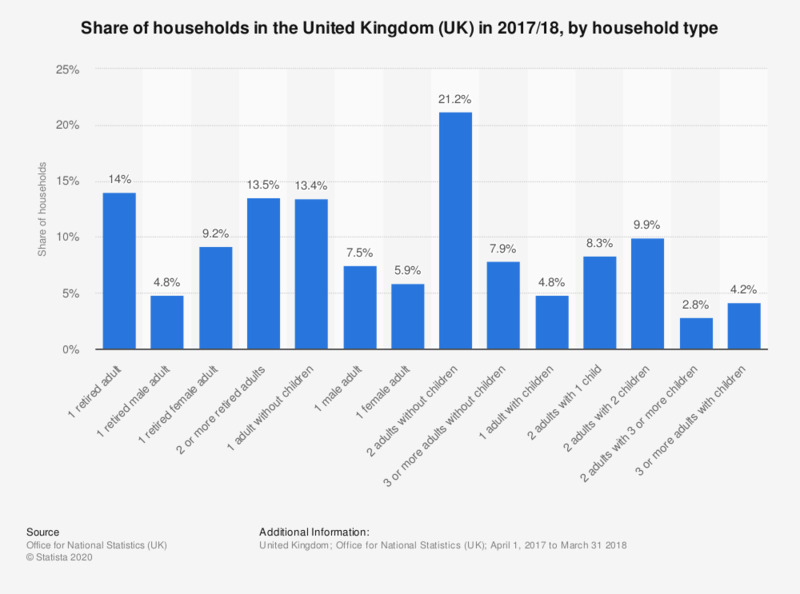 This statistic displays the share of households in the United Kingdom (UK) in 2017/18, by household type. 21.2 percent of the households in the UK consisted of two adults without children. This was the most common type of household in the UK in 2017/18, whilst only 2.8 percent of households had three or more adults with children which was the least common type of household.